We are preparing our stock for the Autumn winter rush on Screenwash and De-Icer, with many of our customers preparing for the change of season. Have you ordered your’s yet? 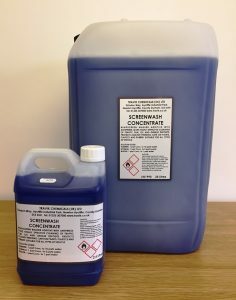 If not get in touch, our Screenwash concentrate is suitable for all year round use, and can be supplied in 25L, 205L or 1000L IBC, prices are now available from us on 01325 307000, so do call us now.